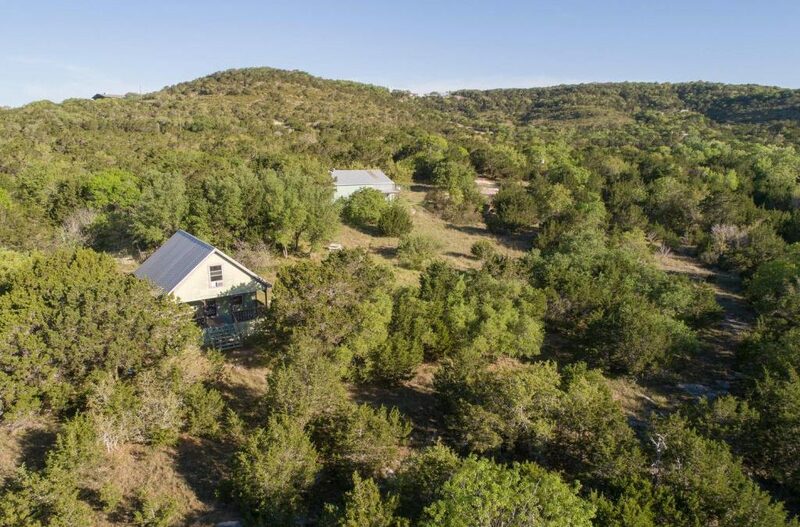 Over 8 acres in Hill Country Ranches with long distant views and year round springs that sometimes produce a waterfall. Metal building is the main house with 3/1. Configuration is not traditional. Guest home is separate and has 2/1. Metal building has large storage area downstairs and upstairs. The upstairs could possibly be built out more. There are only window units in this home. Heat is space heaters and wood burning fireplace for main home. 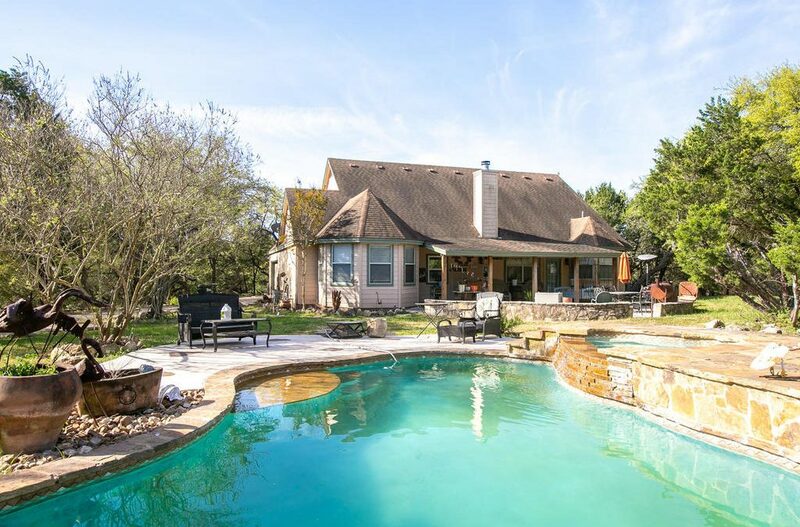 Charming home sitting on almost 4 acres of seclusion with a pool and hot tub and your very own putting green. Open living room and kitchen area with high ceilings. The kitchen has a gas oven, custom stained cabinets and solid surface counter tops. Master and two extra bedrooms downstairs. Upstairs is a game room or 4th bedroom. Master bathroom has a separate tub, shower and custom vanity. Secondary bathroom has a large walk in shower.Outbuilding could be an artist studio, office or pool house. New Construction ready for immediate occupancy. 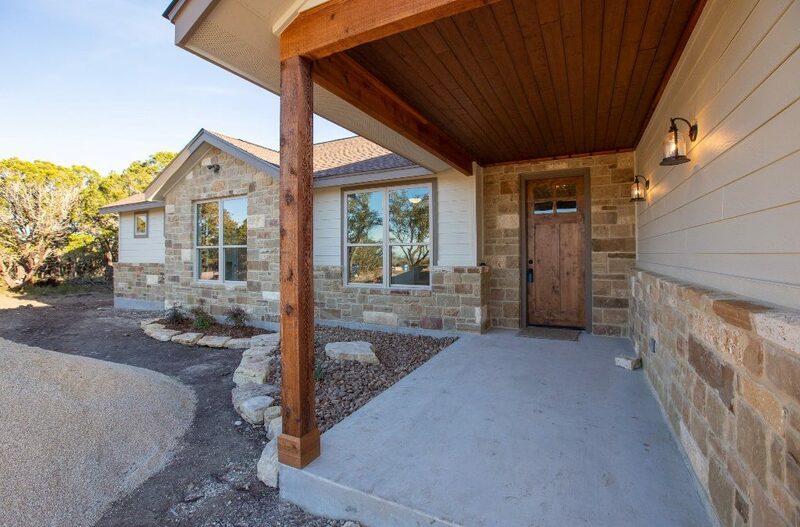 Well thought out custom design featuring a charming exterior and an open floor plan allowing plenty of natural light. Master boasts high ceilings and bath with walk in shower, double vanities and spacious walk in closet. Kitchen is open to the living room with a breakfast bar and upgraded stainless LG appliances. Fully fenced back yard. TRANE (16 SEER) HVAC with smart thermostat. Home is pre-wired for media. Garage door w/garage door opener included. 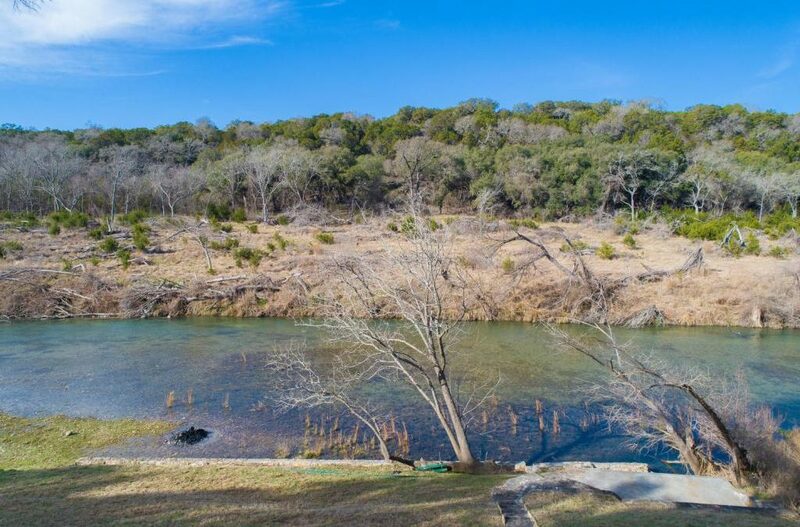 Gently stroll down to the Blanco River or sit out on the screened in porch and watch the river flowing by. Looking for an escape from the busy city? This is the place. Quaint cottage with a colorful metal roof, wrap around screened porch and rock steps all the way down to the river. The home has an open floor plan downstairs with two bedrooms & a full bath. Upstairs has a built in desk in the master bedroom plus another lofted office/flex room plus the master bath. Two car carport, partially fenced. 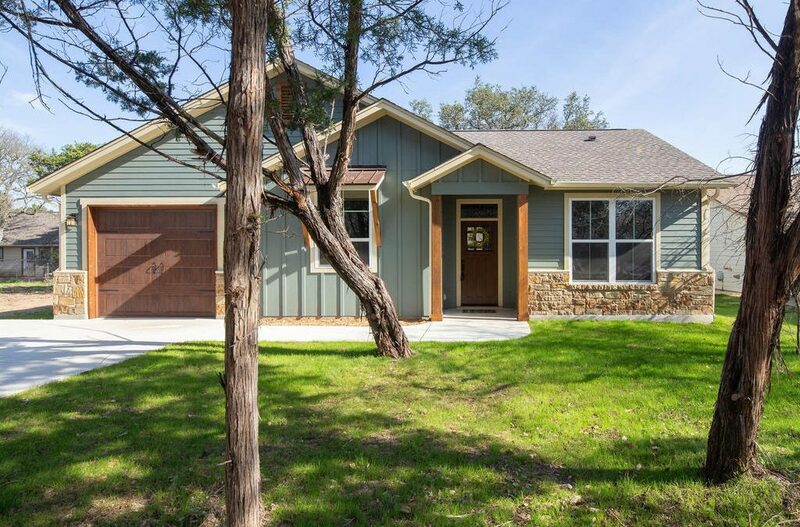 Beautiful new construction home with 3/2 and 1/2 baths with flex room. Very large kitchen w/stainless steel appliances, elevated dishwasher, single large sink, large island, appliance garage & coffee/wine bar. Master bath has two walk in closets, garden tub & walk in shower with two shower heads. Flex room could be office, workout room or formal dining room. Nice open laundry room that has a 1/2 bath & built in cubbies. Extended back porch overlooks the long distance views.